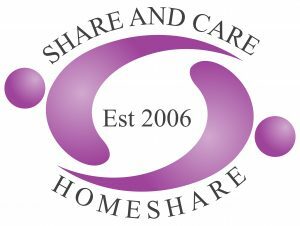 Very low cost accommodation being offered as a Homeshare arrangement to a Sharer with special needs experience. This person is seeking a Sharer for their home to give them around 15 hours’ help and company each week in exchange for the low-cost accommodation. This person would really benefit from the reassurance of having someone around their home in the evenings/overnight. The accommodation on offer is a single bedroom. There is a shared bathroom [bath with separate shower attachment]. The kitchen has a fridge, washing machine and a microwave. The flat is on the 9thfloor of a block [with lift]. Nearest transport options are bus stops 5 minutes’ walk away with services to Clapham Junction etc. and overland trains into Waterloo from Queenstown Road station [10 minutes’ walk]. This older person would appreciate some help with cooking and someone who will take them out to the pub and be a good companion and friend. This older person has short-term memory loss and finds it hard to find words, so speech is limited. They are mobile and enjoy going to the football or out to the pub. They are interested in crime movies and rock music – and have an extensive vinyl collection. They also have a cat which lives indoors in the flat. This older person is a smoker. The ideal Sharer would be a compassionate male with a gentle manner who speaks good, clear English. They would also besomeone who is able to learn to read when this person needs some space and when they would enjoy some company. Someone with an interest in football and music would be appreciated.A cat lover and a smoker [or someone who doesn’t mind smoking in the flat]. £100.00 + 20% VAT per month [Total £120.00 per month] plus possible contribution to council tax of approx. £25 per month.